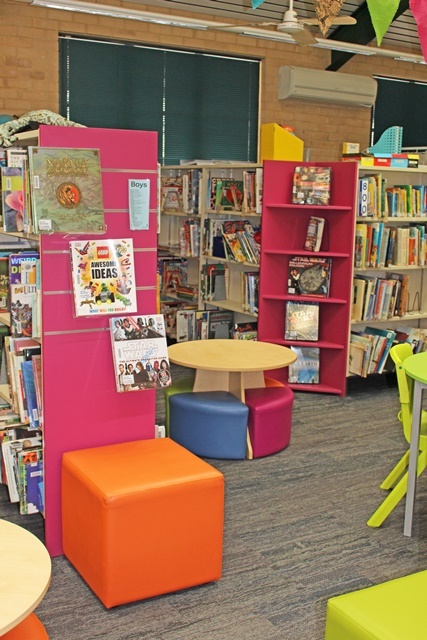 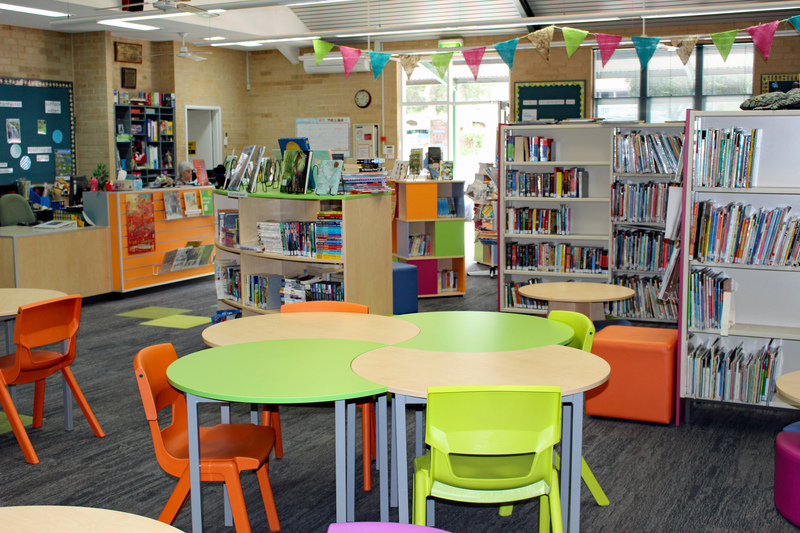 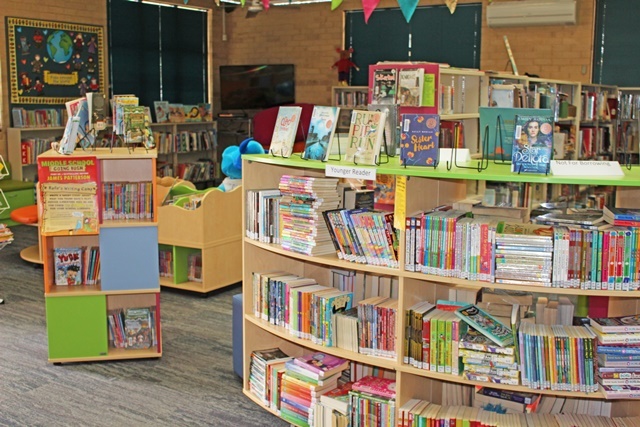 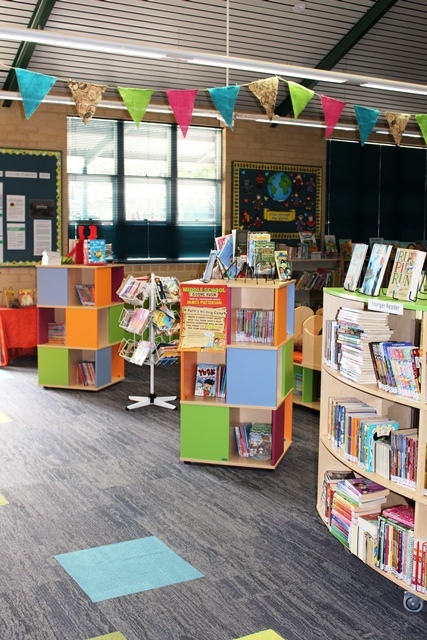 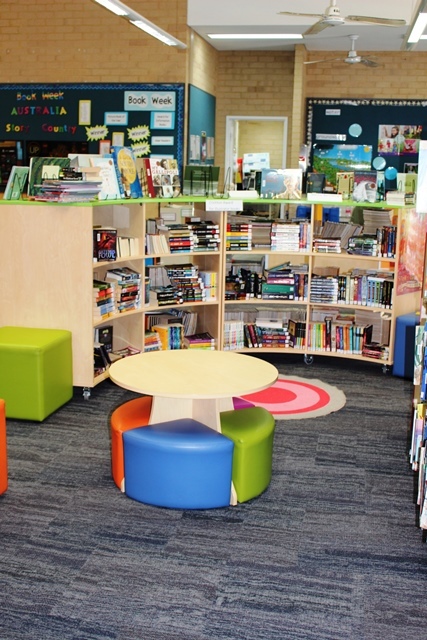 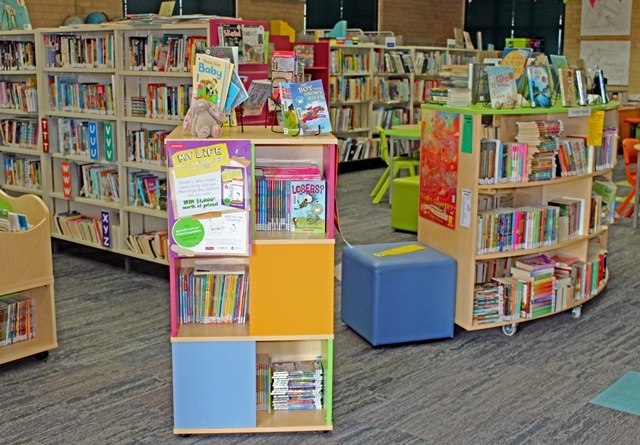 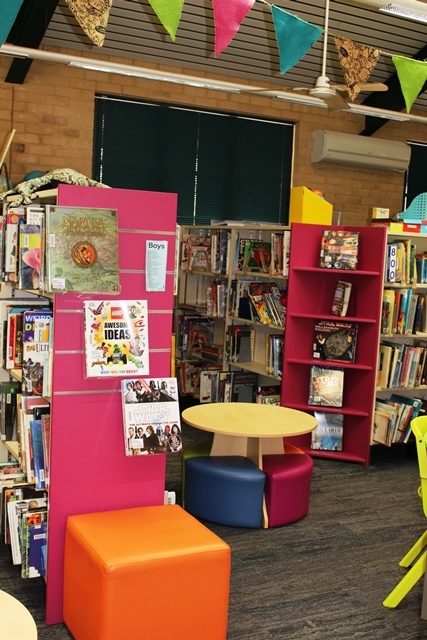 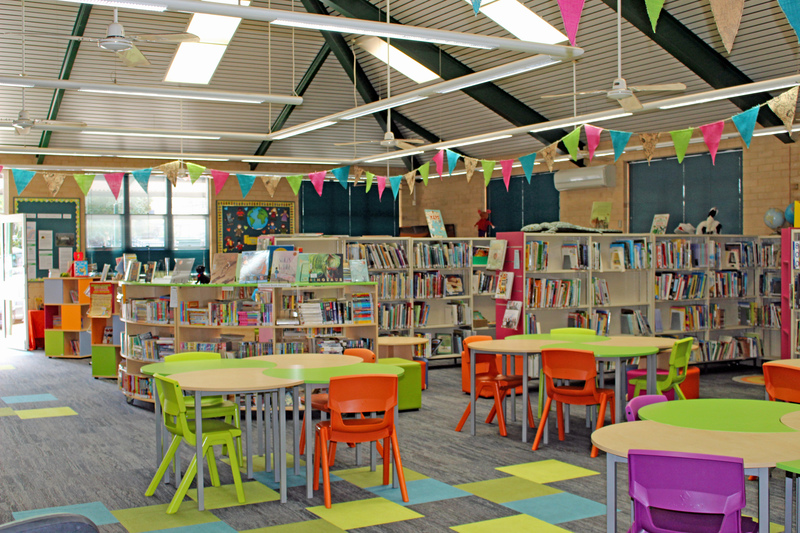 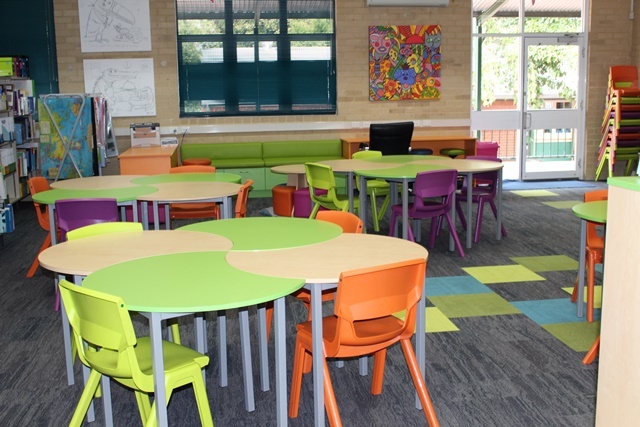 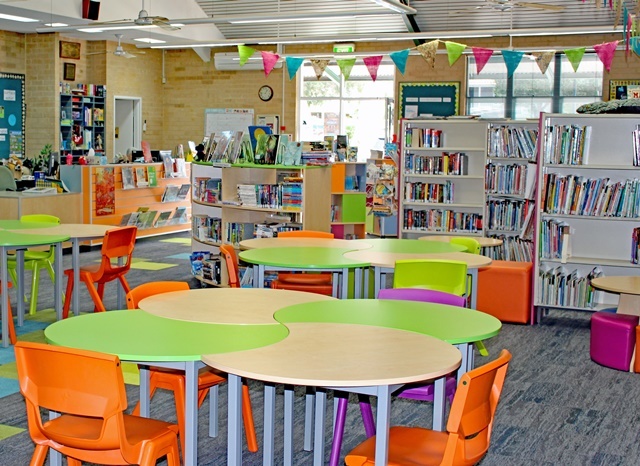 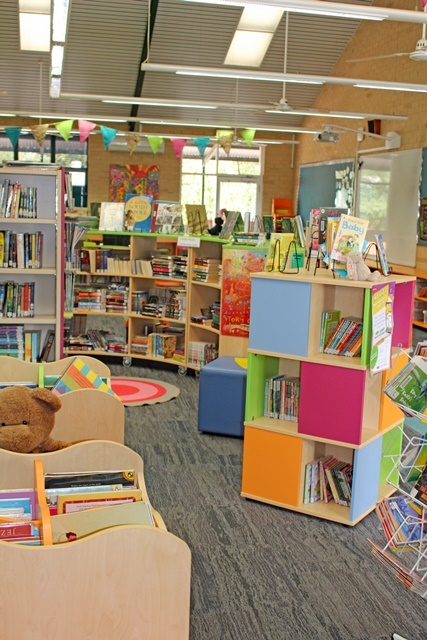 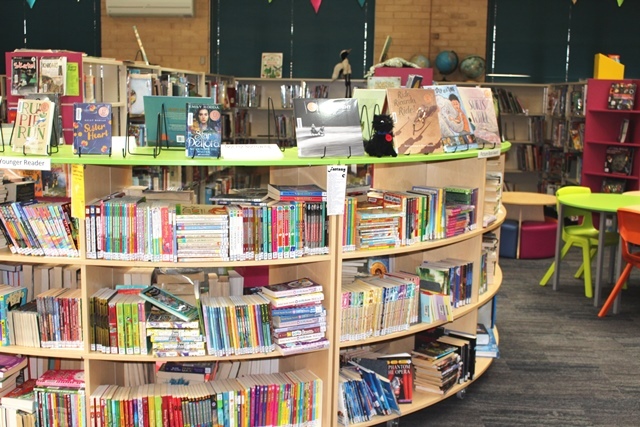 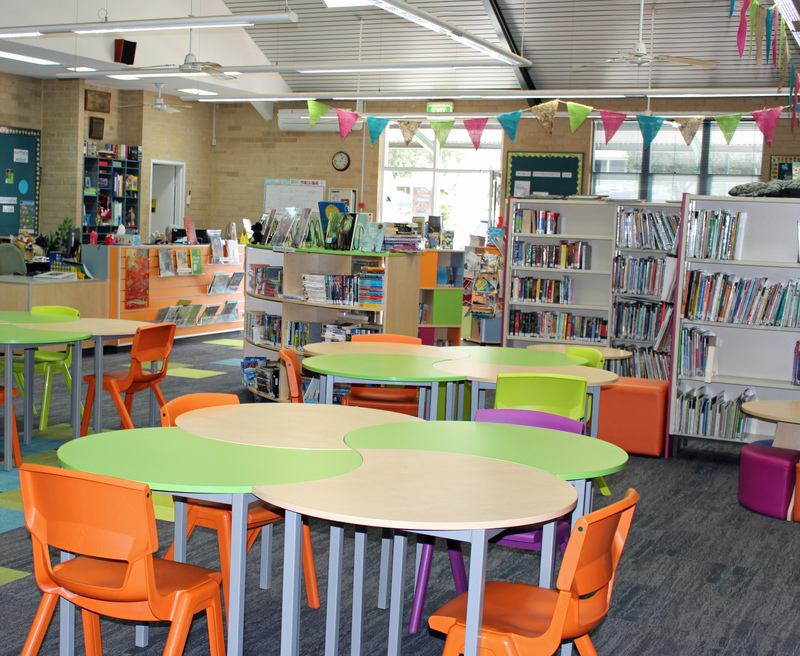 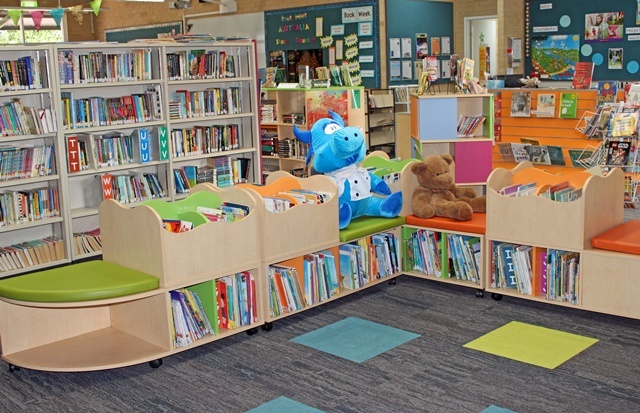 Subiaco Primary School wanted a make-over of their existing library, the brief was to breathe colour and fun into the library. 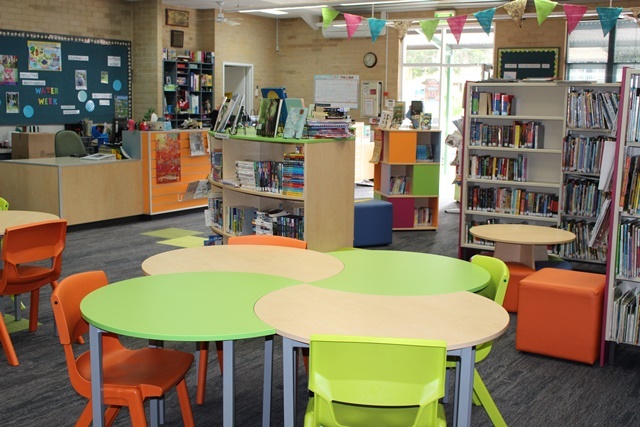 We added TAS browser boxes with seating, colourful book display units, tables with little ottomans, bay-end panels fitted to existing melamine bookcases. 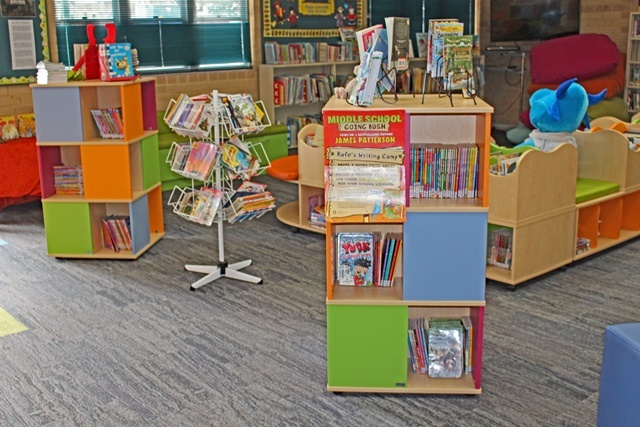 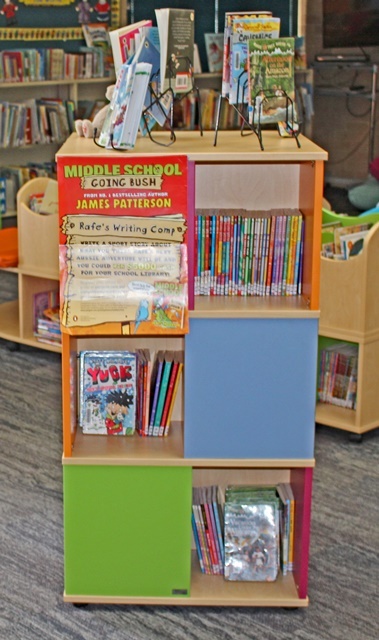 They wanted to make-over their circulation desk so we added slatted panel to the front in Mandarin melamine which brought the desk to life and allowed for extra book display. Bench seating with storage drawers along the walls creates great chill out areas for the kids and excellent storage for board games and craft materials. 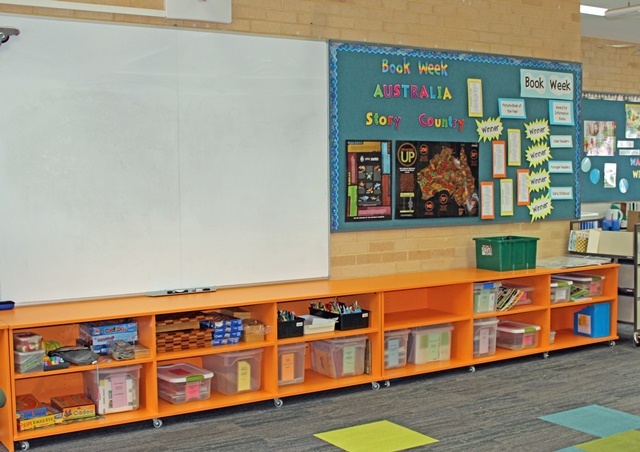 Colourful mobile bookcases under the whiteboard also allow for much needed storage. 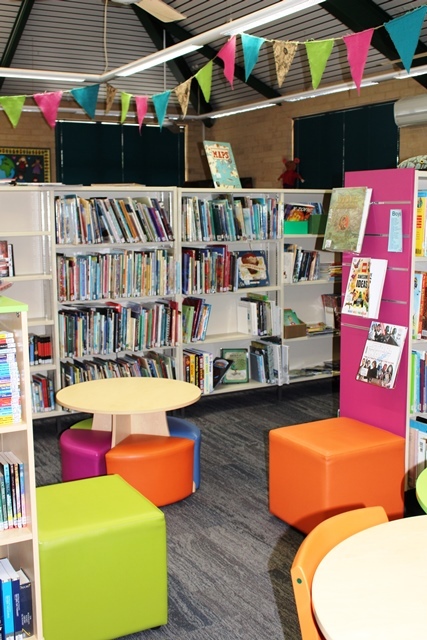 The end result is stunning. 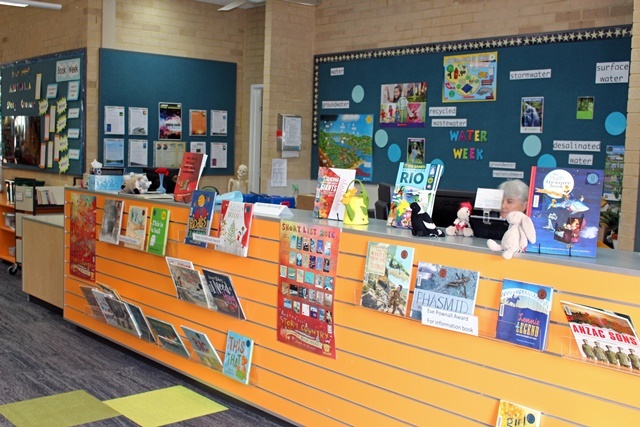 Thank you to all the fantastic staff at Subiaco.